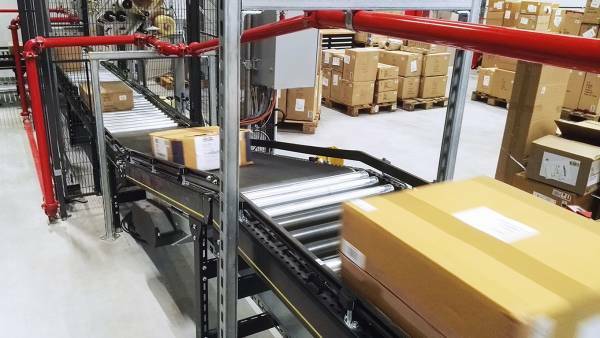 Systematically in vogue in intralogistics – Stöcklin Logistik AG. Förder- und Lagertechnik. 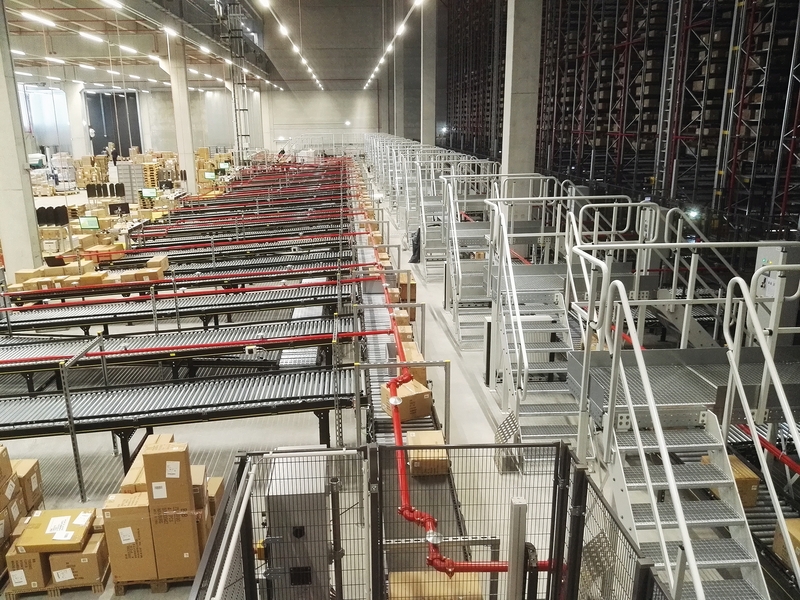 A 16 aisle, automated small parts storage facility with over 30,000 storage bays for a total of more than 300,000 boxes with dimensions of 600 x 400 mm and retrieval capacity of up to 1,500 boxes per hour forms the heart of the automation concept implemented by the BOLTZE Group at their location in Braak. 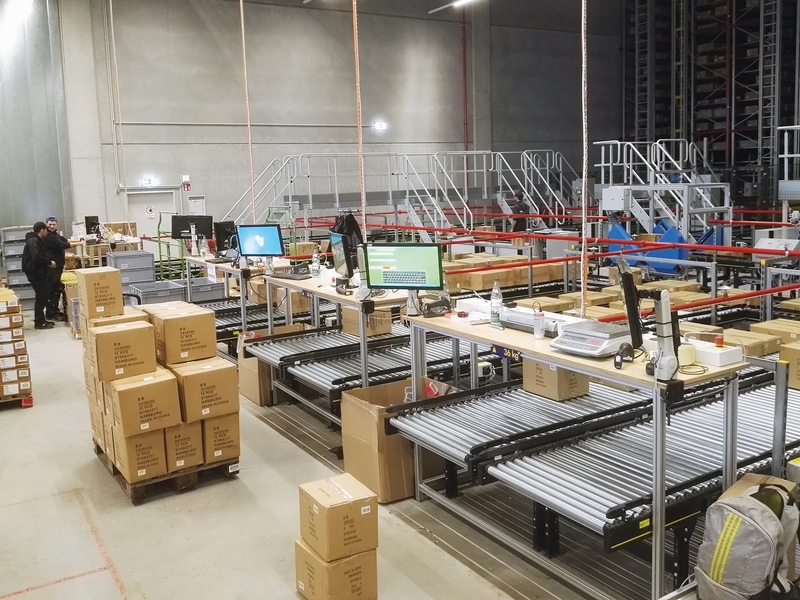 This solution, based on Stöcklin’s BOXer-System, integrated as a high performance picking system directly into a connected new building, provides operative security for further growth of this wholesale enterprise. All totaled BOLTZE has invested nearly 23 million euros for the current expansion and centralization of their logistic facilities. The feeling of hectic and insecure times increases the desire to make your own four walls a refuge of security and well-being. With this background, home accessories are in greater demand than ever before. They give your furnishings a personal touch, frequently fulfilling yearnings of the residents. New decorations in fresh colors, for example, indicate the coming of spring at the end of a long winter. However successful suppliers in this market require a continuous, fine feeling for the spirit of the times, marked by continuously changing trends, whether flowery country cottage style or more austere, but nevertheless, cozy Scandinavian look. In this challenging environment, the BOLTZE Group has asserted itself ever since it was founded in 1964. Managed by the second generation of family proprietors, the company has developed into Germany’s largest wholesaler for high quality, trend-following home accessories and gift items, with international sales network. Observing the seasonal change, BOLTZE presents the latest trends in home and decoration ideas in impressive collections, intended to reach the vital consciousness and preferences for all types of furnishings. The disproportionate growth rates in combination with a significant increase in the range of products offered indicate that this family company already does a great deal more than necessary to meet the formulated requirements. However, such success also requires that the logistic facilities can also keep up with the growth. To this extent it was only logical to adapt the existing structures to the present status quo and prognoses for further development. explained Michael Winterhalter, project manager at BoltzeIdeen GmbH. 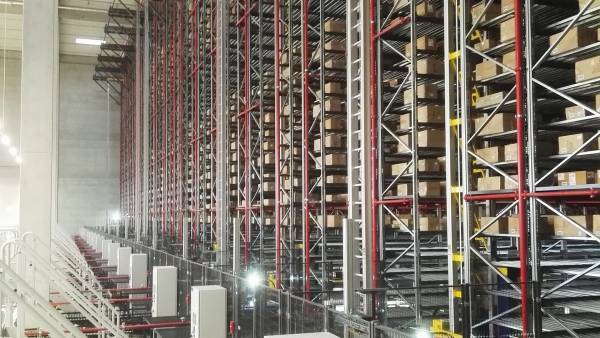 Those responsible for the project of setting up a fully automated small parts storage facility were concerned with realizing sufficient potential to ensure fast storage and retrieval times while simultaneously remaining as flexible as possible. This was to be distinguished by the highest possible availability, while contributing to improved utilization of present resources and ensuring efficient operation. Moreover, it was necessary to consider capacity reserves and options for future expansion. To date, picking was a purely manual operation – an enormous challenge for the employees, who had to manually pack increasingly larger quantities of ordered goods in shipping boxes. Palleting the picked shipping boxes proved to be a particularly arduous task. When packing the shipping pallets, it was necessary to continuously consider article-specific peculiarities, particularly fragile items, as well as proper box weight and size, in order to achieve maximum stability for each unit. Considering this background, it was necessary to redefine the processes and performance requirements for storing the shipping boxes, packing so-called inner boxes in shipping boxes and buffering or transfer to packaging/shipping. The small parts storage facility to be incorporated into the present Warehouse Management System (WMS) is intended to operate in the future as a “picking system” to significantly improve the efficiency of the processes, while reducing the space requirements and simultaneously decreasing the employees’ work load. Ergonomic aspects required BOLTZE to design workplaces as compact as possible, minimize long routes and support indispensable manual handling processes to the extent possible with technological solutions. The extensive package of requirements, which also aimed at reducing the complexity, resulted from meticulous development of a concept for expanding the BOLTZE company headquarters in Braak. This also required a modularly designed system solution, allowing local expansion with work in progress. 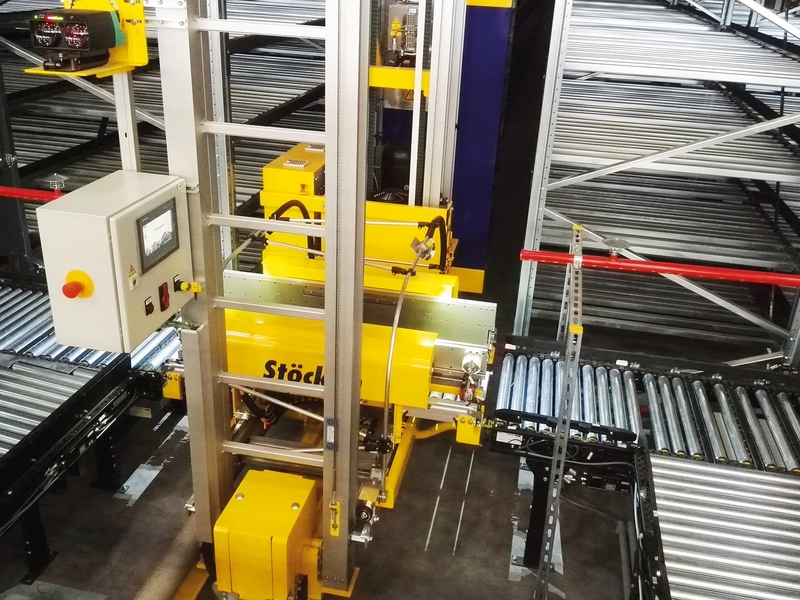 During the course of the tender, it became evident that the optimum choice was the BOXer from the intralogistics supplier Stöcklin, a proven application for fully automated small parts storage subject to on-going development. continued BOLTZE Project Manager Michael Winterhalter, regarding the background. 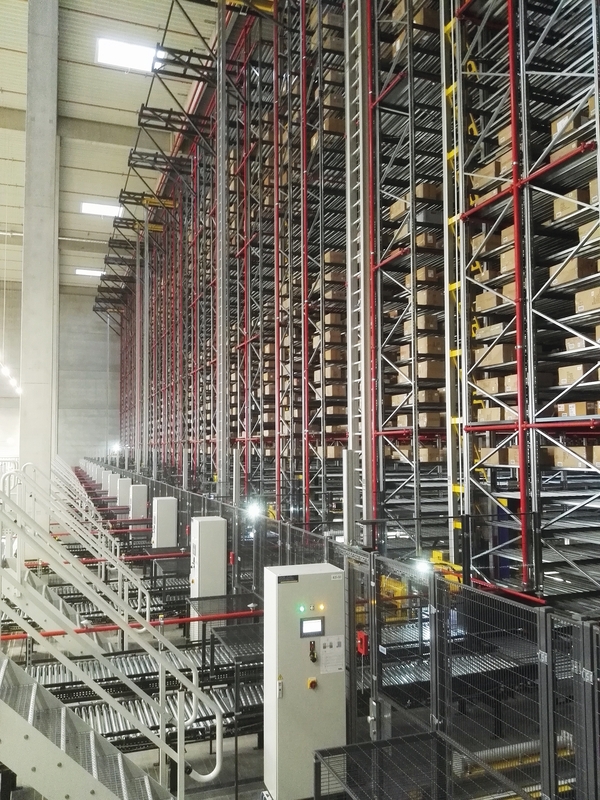 Another important factor was that the automation solution offers sufficient storage location capacities to reliably hold and handle the enormous range of items. With storage capacity for nearly 300,000 standard boxes and through-put capability of approx. 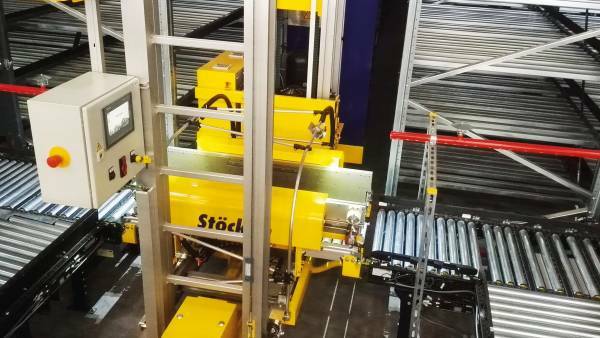 1,500 boxes per hour, the system solution from Stöcklin met these requirements exactly. The storage locations are distributed among 16, approx. 100 m long aisles, each of which is equipped with a 16 m high, BOXer D1 stacker crane with box gripper, auxiliary mast and anti-oscillation system. Moreover, a Warehouse Control System (WCS) from Stöcklin is connected to the present Warehouse Management System (WMS), to take over operative tasks in the course of material flow control as well as communication with the subordinate system control using the TIA portal from Siemens. While shipping boxes with dimensions between 300x300 mm and 600x800 mm move directly on the system, smaller, deformed or damaged cardboard boxes as well as broken boxes are transported and stored on trays or in containers. Here a special box gripper ensures careful handling. 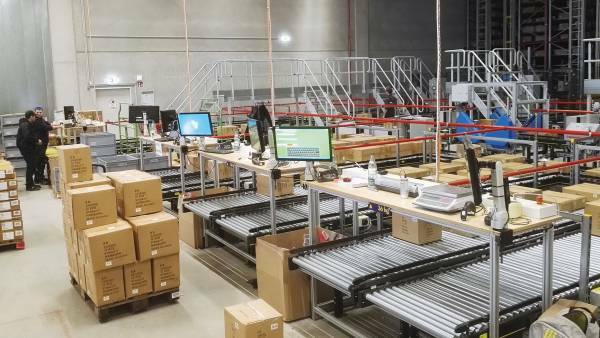 “The advantage of the system developed by us, is the high packing density it achieves with relatively little floor space”, said Michael Dörner, System Sales Manager at Stöcklin GmbH in Netphen. 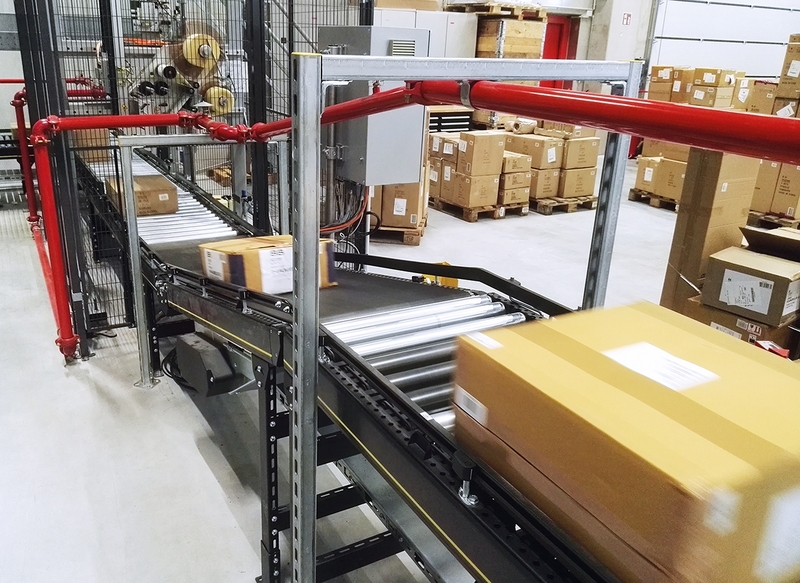 “This - in combination with the BOXer small parts storage concept - satisfies BOLTZE’s desire for optimized use of the available space and volume.” Moreover, the box grippers ensure flexible handling of boxes and containers with varying dimensions. A centrally located roller track also ensures that the bottom is always supported effectively in the center, even in the face of deviations in the tolerance or minor damage. The general objective was to subdivide the storage concept into modules and optimize these systematically to the relevant aspects - specifically in terms of performance, availability, sturdiness, flexibility, linearity, redundancy and ease of service. “Another important factor was the subject of energy efficiency”, continued Michael Dörner. The BOXer stacker crane, whose own weight has already been reduced significantly, is an important factor here, because it significantly reduces the weights to be moved. Additional energy savings are achieved by combining supply modules and return modules, with which the energy resulting from braking, which cannot be transferred to other axles, is fed back into the grid.” This requires highly dynamic equipment with fast load change. This is also supported by a mast head attached to an anti-oscillation drive, which eliminates oscillation of the 16 m high stacker crane to the greatest possible extent, while allowing secure positioning as well as careful handling. Implemented strategies also include requirement-oriented adaptation of the stacker crane acceleration rate and operating speed, because the current operating situation does not always require the highest possible speed. The subordinate control optimizes the travel curve to ensure that the travel and lifting gear reach the target coordinates simultaneously. This saves valuable energy, which also has a positive effect on operating costs. And, if the equipment is not required for a time, it can simply be switched over to the standby mode by the control. A simple sketch shows that the automated box and container storage system comprises the following modules: Storage with depalleting and separation, I-point with package detection, ID coding and contour/weight detection, automated small parts storage with pre-storage area and stacker cranes, shipping label printer, picking stations (goods to worker), retrieval locations and NOK work station. Six work stations, laid out for the highest ergonomic requirements, were integrated into the depalleting area, where continuous manual work is performed. First, merchandise buffered on pallets is moved to the depalleting stations with the aid of stackers or pallet trucks. These depalleting areas are equipped with elevator stations, which can be actuated by the worker without having to leave the work area. The work sequence is not interrupted and the danger of injuries, from crushing, pinching, etc. are eliminated. After removal from the pallet, the boxes are pushed onto the connected container conveying equipment with a minimum of force and then transported in the direction of the automated small parts storage facilities. The requested boxes are packed on pallets or partial picking accomplished at a total of 10 shipping stations. The WCS transfers the retrieval orders to the material flow computer - including information on the various box sizes. The material flow computer then selects the picking station for the shipping order in question. After conclusion of picking, the shipping box is placed on the shipping pallet. Opened boxes of merchandise are returned to storage - also under control of the WCS. Realization of the planned expansion of the central storage facilities in Braak began with the tradition groundbreaking ceremony in August 2016. The order for the new box and container storage facilities was placed the beginning of October. Parallel to this, technical start-up was scheduled for the beginning of July 2017. “This tight time schedule was an enormous challenge for all involved from the very beginning” stated Herbert Schwarz, responsible Stöcklin Project Manager. “Many years of experience and reliable, carefully checked components, as well as comprehensive, systematically controlled test management are essential for success”. After starting productive operation followed by a stabilization phase and final approval, the new “picking machine” or box and container storage facility for BOLTZE in Braak is usually operated 5 days a week in single shift operation. During peak phases, operation is extended to 6 days a week and 16 hours per day. 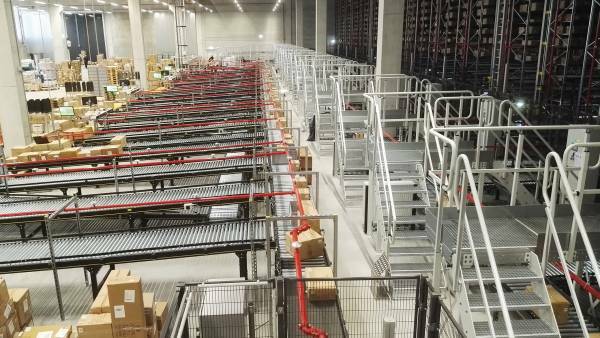 “By centralizing our logistics structures and integrating automated box storage in our new building, we have made important developments for the future – which will also benefit our numerous international commercial partners”, summarized Michael Winterhalter. continued the BOLTZE Project Manager. As a globally active wholesaler, the group now has a solid base to provide flexible security for varying demand, while continuing to increase and reliably handle its growing assortment. The automated facilities minimize human error, thus increasing turnover and ensuring a higher service level. Processes are sure to change as the market develops dynamically, and BOLTZE is now well prepared to meet this challenge. Because future adaptations or even expansions are possible at any time at manageable expense, thanks to the scalability of the system.